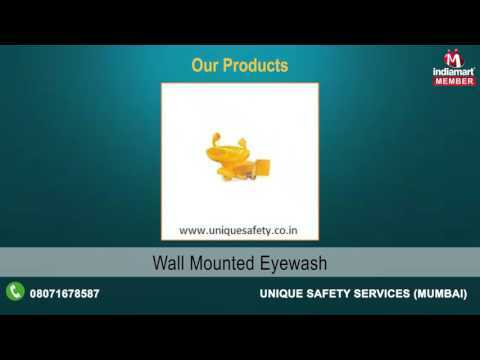 UNIQUE SAFETY SERVICES is a one-stop-shop, which has been set up to provide you with the best fire safety equipments and services under one roof. We are the manufacturers, exporters, dealers and suppliers of wide range of Personal Protective Equipments, under the Brand Name %u201CU-Safe%u201D. We have a wide range of products which consist of Safety Helmets, Safety Goggles, Face Shields, Ear Plugs & Ear Muffs, Safety Hand Gloves, Body Protection Suits, Fire & Heat Protective Clothings, Respiratory Protection, Safety Shoes, Fall Protection, Aluminium Safety Ladders, Construction Safety Nets, Protection against Industrial Hazards, Welding Curtains & Fire Blankets, Emergency Safety Shower, Emergency Eyewashes, Industrial Fabrics & Technical Textiles, Marine & Offshore Safety Products, Road Safety Products, Industrial Signages, Fire Fighting Products, Security Products, Lockout Tagout Products, Industrial Lifting Equipments, Cutting Nozzles & Welding Cables, Cutting & Welding Torches, Welding Regulators & Welding Accessories.